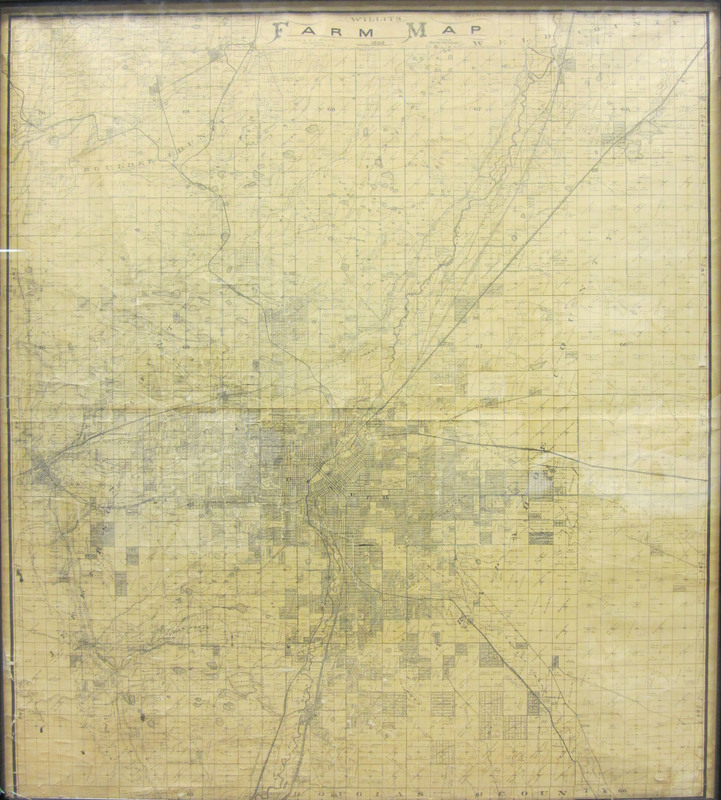 Here’s a brief summary of our restoration of the 1899 W. C. Willits Farm map. The map was removed from its existing frame which had broken glazing. It was stabilized by tacking down loose paper fragments. Clean tears were also repaired. 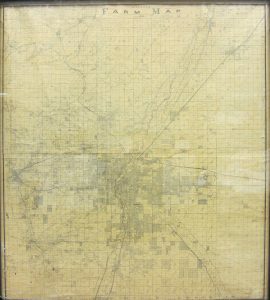 Later the map was remounted to cotton mat board and reinstalled into its existing frame under new 3/16” thick UV-filtering, mar-resistant acrylic.